Admiralty Island, or Kootznoowoo (Fortress of the Bear) as it is known to the indigenous Tlingits, is home to the highest density of brown bears in North America. 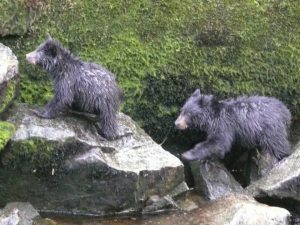 About 1,600 brown bears inhabit the island and they outnumber the Tlingit community of Angoon, the only settlement on the island, about three to one. Around the year 2000, the human population of the island was 650 people. The Admiralty Island National Monument, a federally protected Wilderness Area, occupies most of the island. The old growth temperate rainforest, is also home to bald eagles and Sitka black-tailed deer. An ideal place to observe the brown bears is The Pack Creek Brown Bear Viewing Area. Here, visitors can see the bears fish for salmon and interact in their natural habitat. 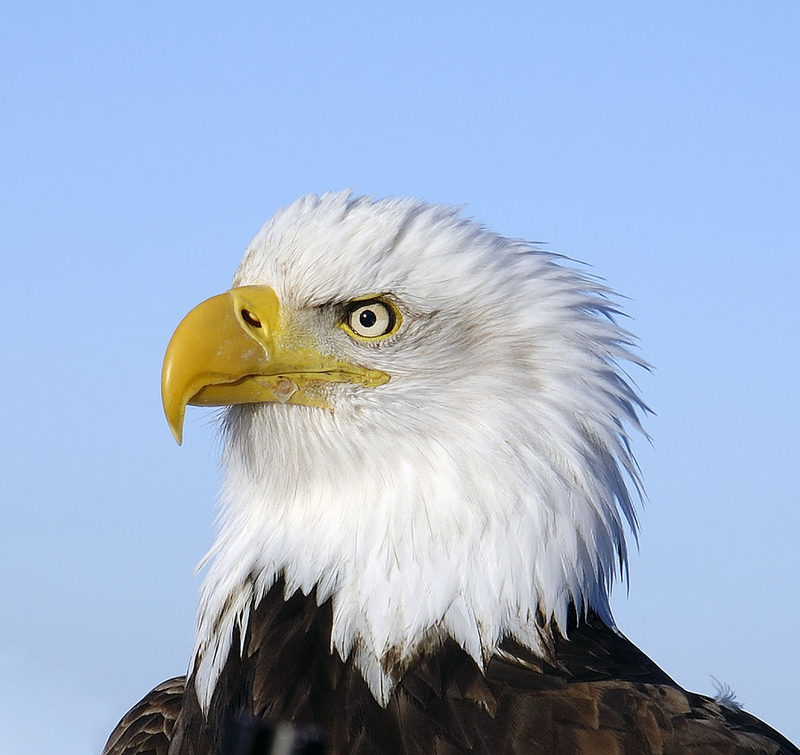 Admiralty Island is also home to the largest concentration of nesting Bald Eagles in the world. As you cruise along the island shoreline, particularly in the early morning and evening, often bears and Bald Eagles are seen. 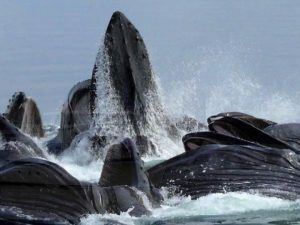 In the waters surrounding Admiralty Island keep your eyes open for humpback whales, killer whales, sea lions, seals, sea otters, and porpoises, as these waters are a natural habitat. While cruising in this area it is not uncommon for killer whales and porpoises to swim alongside, dive under or swim ahead of your yacht, as they love to play in the water movement made by the yacht hull cutting through the water. It is also quite possible to see a pod of whales working together as they “bubble net” feed for their dinner. 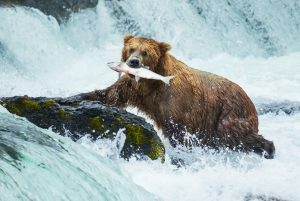 A yacht charter that includes Admiralty Island includes the highlights of marine and wildlife in Alaska.